Our Mission Canyon Bed is a unique addition to our solid hardwood bedroom collection. Each bed is built to last generations to become a family heirloom. 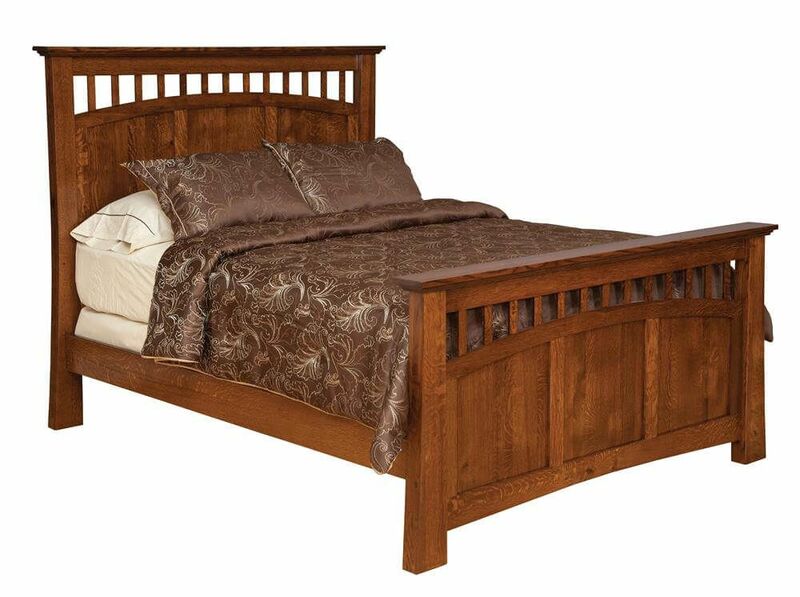 The Mission Canyon Panel Bed includes one inch thick, solid hardwood side rails secured to head and foot board. Our Mission-inspired bed is also constructed with dovetailed slats and mortise and tenon joinery for unmatched durability. Larger bed will include adjustable solid-wood center legs for additional slat support. Full, Queen, King and California King size beds are all constructed with hardwood under-bed slats which support a standard foundation and mattress. Our Mission Canyon Panel Bed and matching companion pieces are available in several different wood types to give you the most options for your bedroom interior. Select your wood species and stain with the options provided and order today.